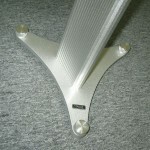 The FUNCTION is a sophisticated and painstaking design made of precision-machined aluminum and cast aluminum. The designs provide innovative, striking solutions to the dynamic aspects of a speaker/stand interface. The secret rests in its ability to distribute and effectively absorb resonant energy as well as isolate from floor-borne resonance. The shapes of the center pole and base plate have been optimized to avoid standing waves and disturbing reflections. The body is made to have excellent resonance absorption and suppression properties. 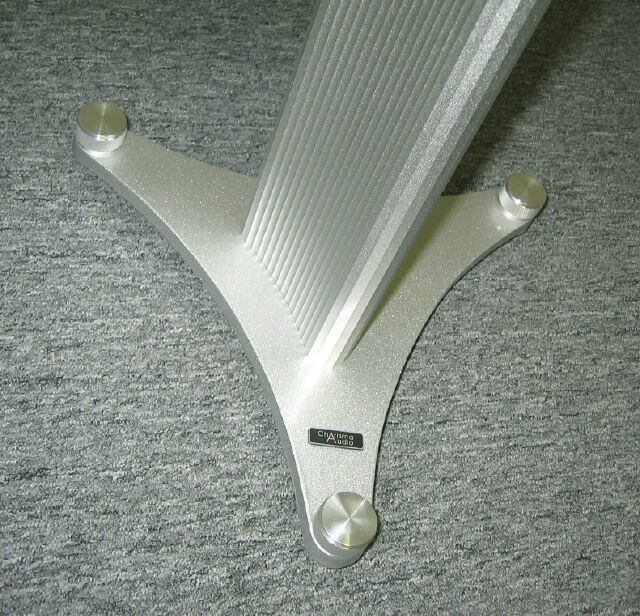 The well-constructed center pole does not ring even before it is filled up with sand and the base plate is heavy and dead to vibration. 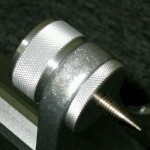 The same care has gone into the construction of the lockable spikes. 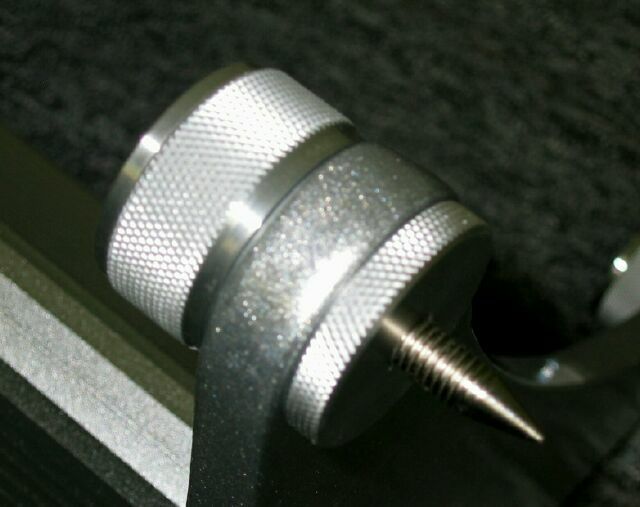 They are easily adjustable and can be locked tightly with the large-diameter locking discs and knobs located below and above the base plate, using fingers alone. 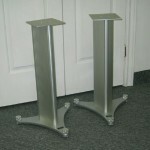 Aluminum discs are supplied for using the stands on wood floors. The FUNCTION is available in black and silver and in 24″ and 28″. 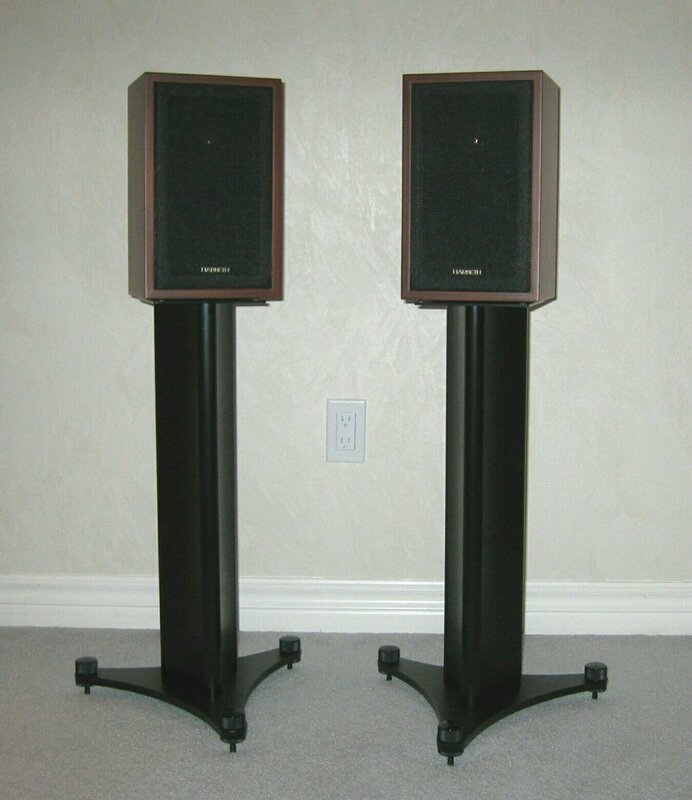 Review of Audio Space AS-3/5A monitor speakers and Charisma Audio Function speaker stands done by Mr. Glen Wagenknecht of 6moons.com.